Welcome to all those interested in the law and the Catholic faith. Our society provides spiritual and intellectual fuel to inspire lawyers, judges, and public servants to follow Christ's path in the legal world. We have them in every specialty. Thanks to everyone who supported and participated in this year's Red Mass. Click for a free prayer book designed to provide daily spiritual support for all the trials and joys of professional life. 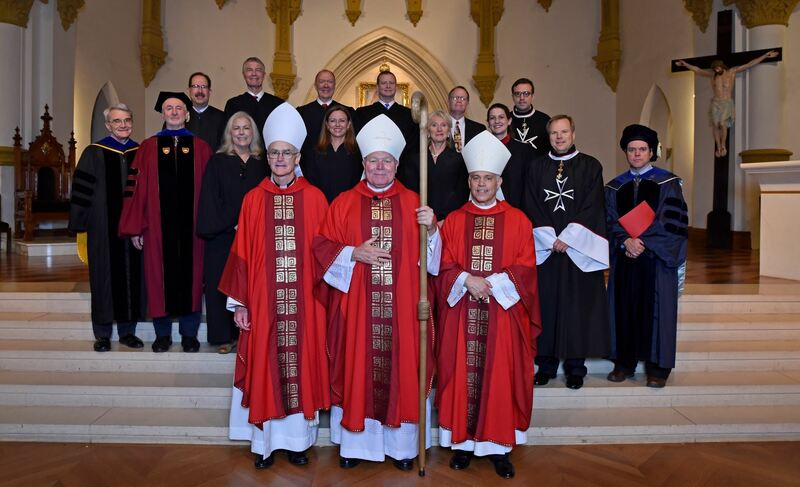 At the Bishop's request, we have created model forms for advance directives and medical power of attorney that comply with Catholic teaching and Texas law.